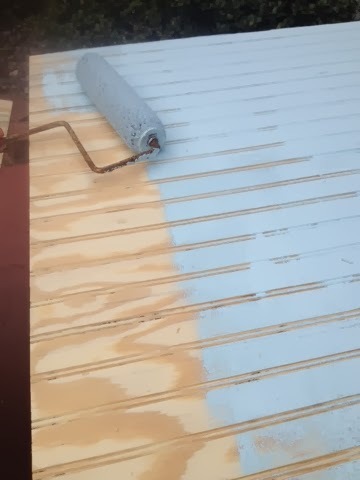 A few weeks ago I posted this photo of some beadboard getting painted a pretty shade of blue. 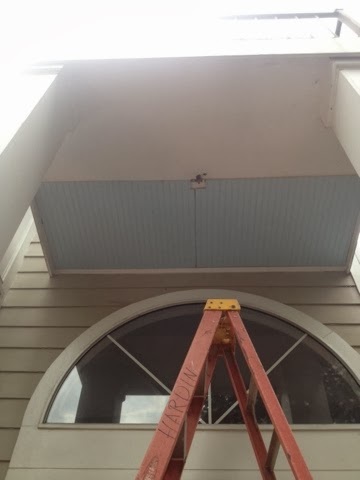 When our front porch light went out a few weeks ago, I knew it was time to convince Hubs to install a haint blue porch ceiling. I've always admired the haint blues of Savannah and Charleston. It's something I've been wanting to do for years. I had to take advantage of the moment. 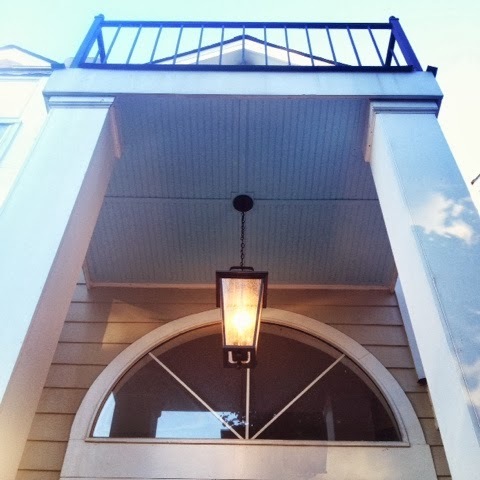 First, Hubs took down our broken porch light. Then we went and picked out exterior grade beadboard and the perfect shade of blue. Painting took no time at all. Hubs measured (and measured again) and cut the board to the right size. Then he added paneling glue, Liquid Nails, to the back. Carefully, he placed them in their correct positions and took his brad nail gun to secure the sheets in place. He had to cut an opening for the porch light. He also placed the beadboard in a grid pattern. This allows the joints to have a more polished look. He added trim around the exterior and painted everything once more. 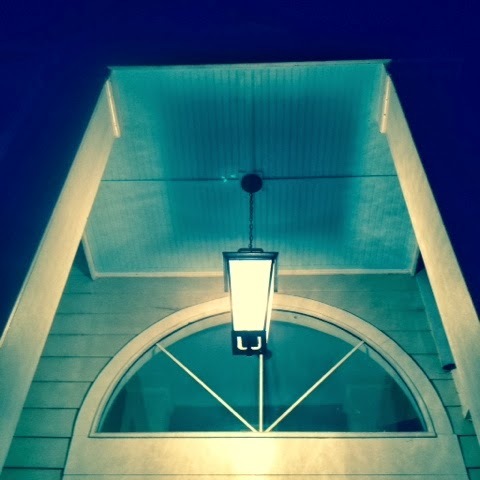 Finally, he was able to add our new porch light. I LOVE IT. 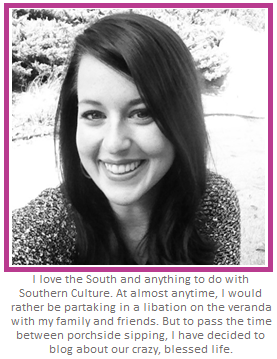 Just the right amount of Southern Charm! 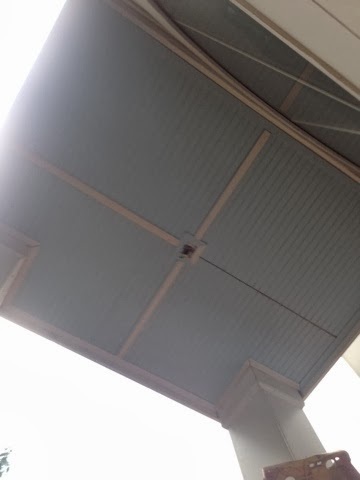 It won't add any value to our home, but my little haint blue ceiling is definitely memorable! Hope y'all are having a great weekend! Talk soon, friends! I love it. And as long as you are happy that is what matters.